A wedding is one of the most important moments in a person's life. Sometimes it can be difficult to think of something fresh and original to wish on a wedding day of your good friends. 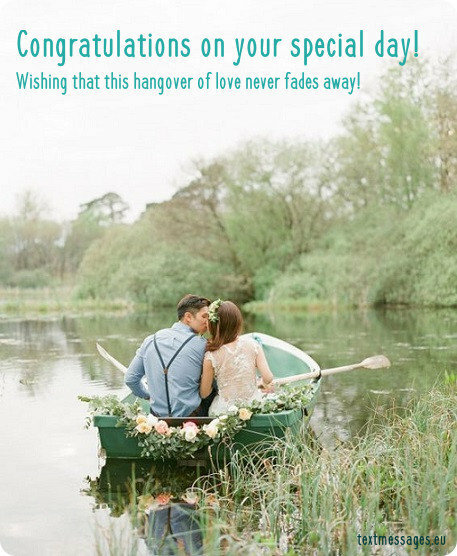 But there is no need to worry, on this page you will find lots of wedding cards and lots of ideas what to say or write in greeting text message. 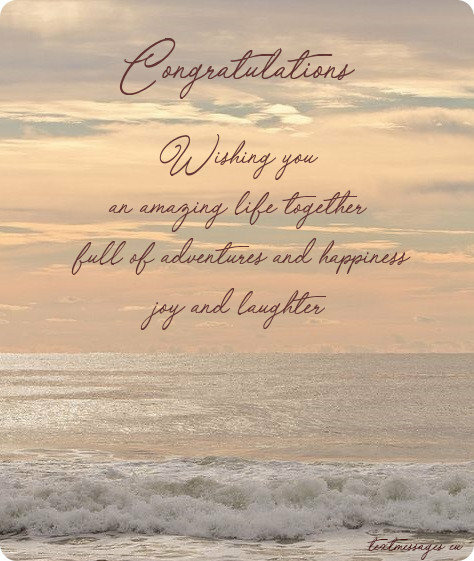 Choose your best one from these wedding wishes for friend with images. Today everything is new for you, because it’s the first day of your marriage. You’re full of plans and hopes. But the time flies and you’re starting to get used to it. Remember: love must never be taken for granted. It’s a great gift and you have to honour and cherish it every day of your life. Congratulations on your wedding! People should be jealous of your marriage, because you are the cutest couple in the world, and I am proud to call you my friends, congratulations! You are a truly adorable couple, congratulations, dear friends! 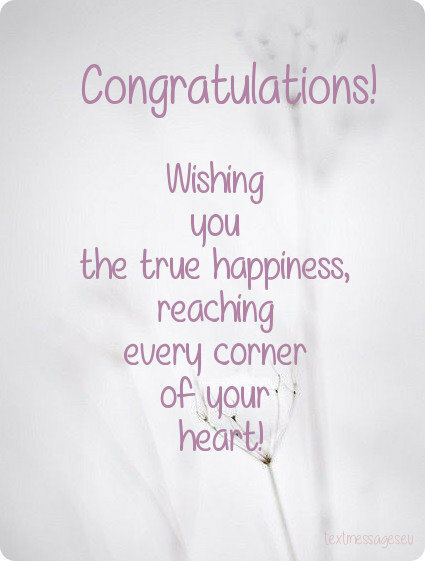 The most hearty congratulations on your special day! 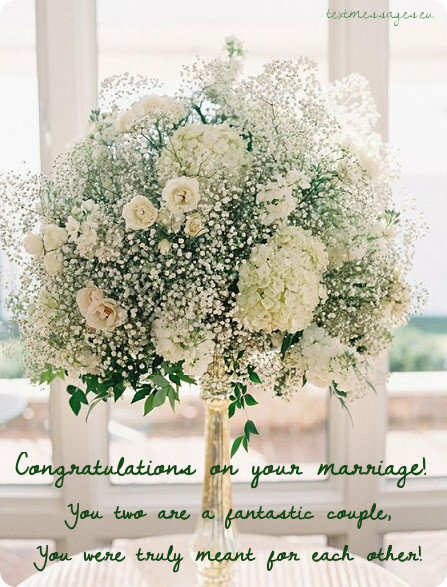 May you have an amazing married life, my friends, you deserve it! Wishing you an amazing life together, full of adventures, happiness, joy and laughter, may these things never leave your wonderful home! With all the joy and prosperity! 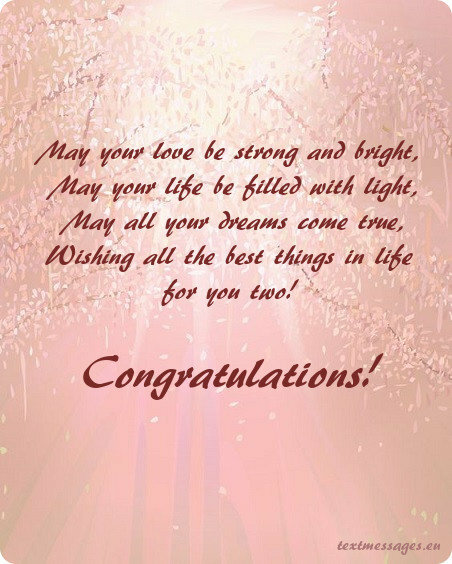 The most warm and hearty wishes to a very special couple! 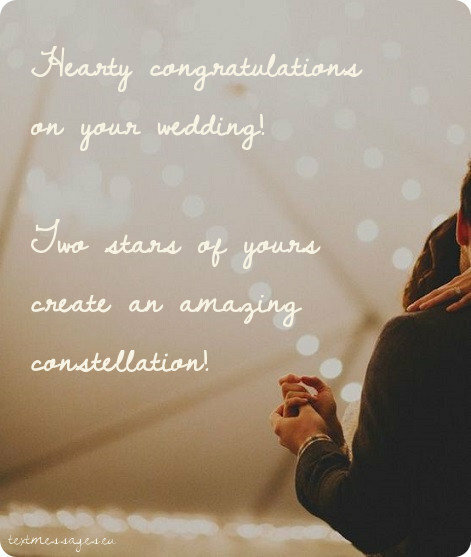 May your marriage be like a beautiful night sky full of shining stars of love and joy! 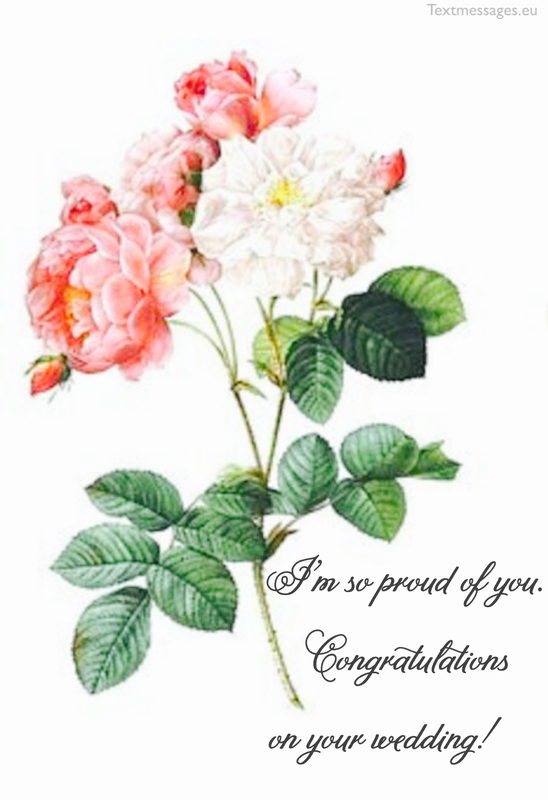 Congratulations on the start of something amazing! 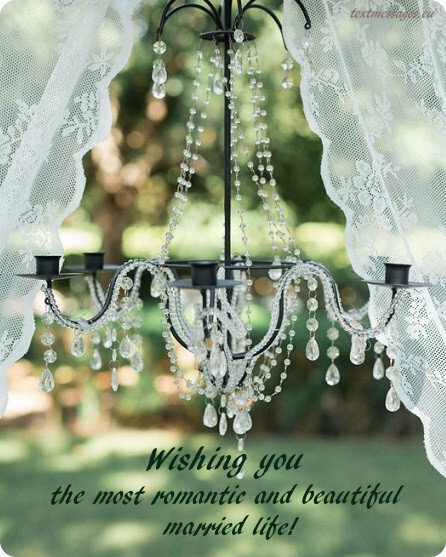 Much love, joy, success, health and happiness to you both on this happy occasion, dear friends! You two are such a fantastic couple! 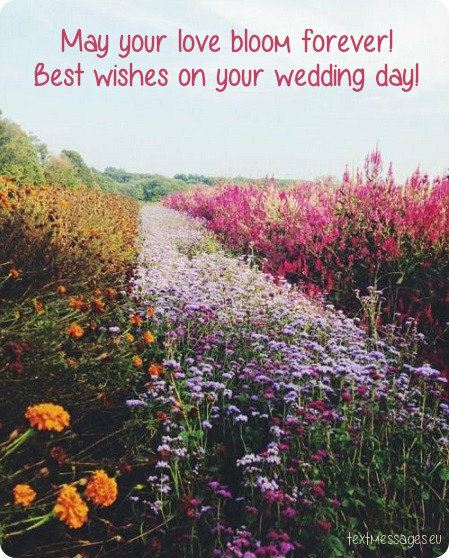 Wishing you tones of joyful and happy moments on your big day! 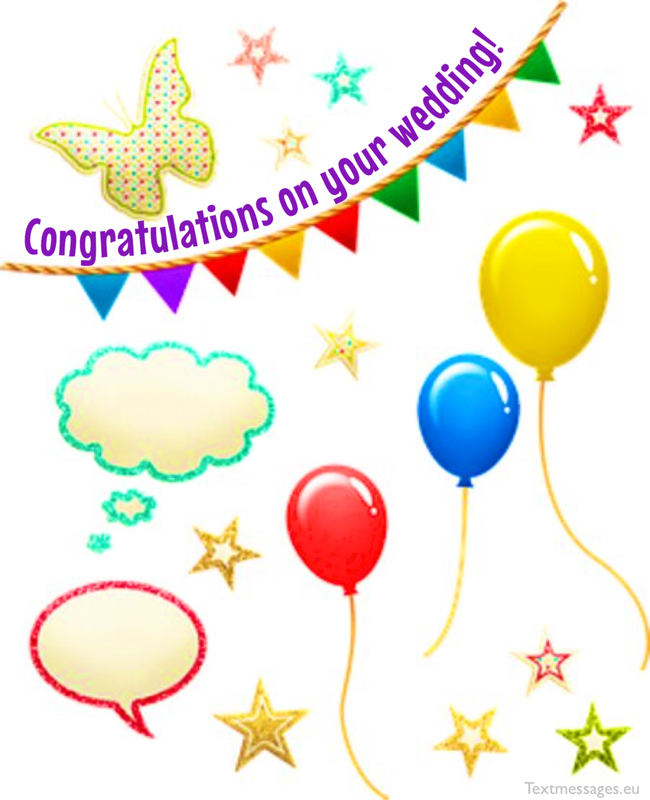 Congratulations on this happy event – your wedding! I wish that your feelings for each other would only flame up stronger every year of your life together. May every day of your marriage be as exciting as the first date! Two special people, one amazing love! Dear friends, enjoy your love that grows with every single day and knows no ending. 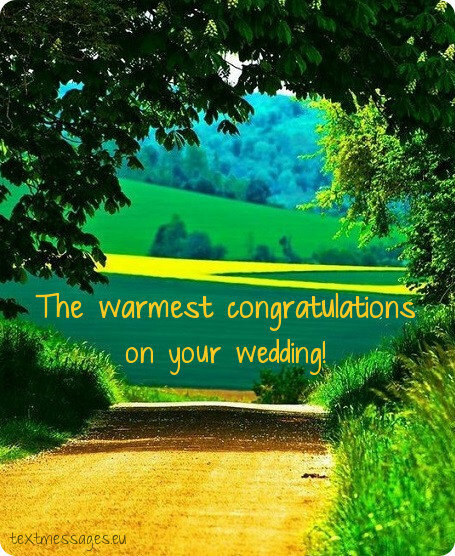 The most hearty congratulations on your wedding day! That there will be no space for someone or something to come in between you. Have a great wedding and a superb married life ahead! May your love, care and togetherness be the best example to all of us! And everyone will agree that it‘s a perfect decision t get married! Happy wedding my dear friends! Have a rocking married life! 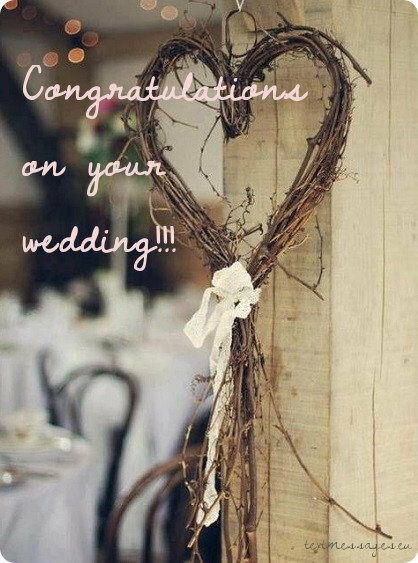 The most hearty congratulations on your wedding! And keep them forever in your treasury! Faith, trust, humour, passion, romance, understanding and timeless love! Wishing you tones of joy and happiness! On your wedding day you promise to love and support each other at every curve of life. 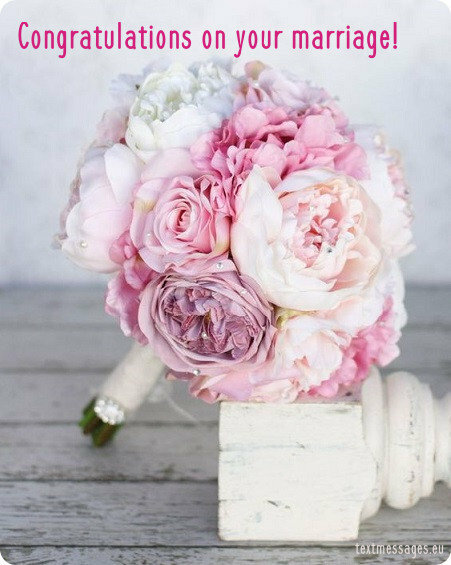 Happy wedding day to you, dear friends! That you will always be together no matter what. 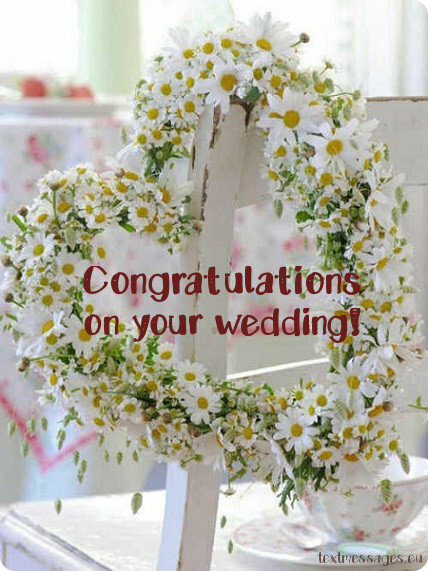 Hearty congratulations and best wishes on your wedding day! 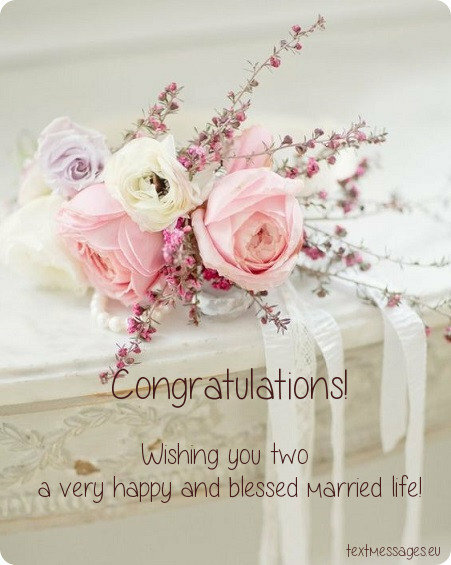 Dear friends, congratulations on your big day! We are so happy that two of you have found the true love that is strong and undeniable. On your wedding day I want to wish you a lot of patience, because there are a lot of things you’re going to learn in marriage. Ability to emphasize will help you to avoid conflicts. Ability to listen will help you to understand your sweetheart. Ability to love will help you not to give up in the most difficult moment. Some people think that family life is boring. And on your wedding day I want to wish you to make this stereotype not true. 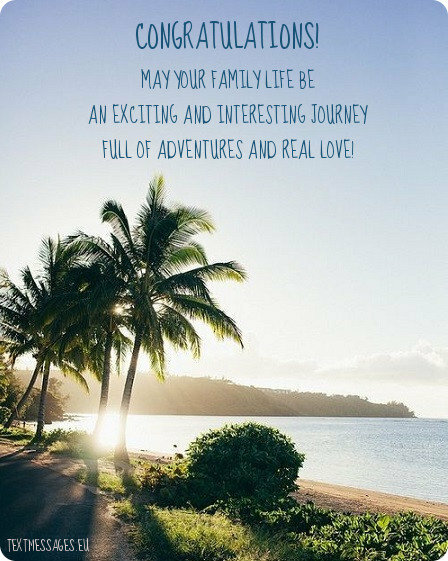 May your family life be an exciting and interesting journey full of adventures and real love! I know you’ve been waiting for this moment for so long. You were so excited that couldn’t even sleep and eat. And here it is – the day of your wedding! May your life together be full of plans, hopes and, of course, actions which will lead to the realization of your common dreams! Today is a special day for all of us, because your happiness means a lot to us. Wish you and your sweetheart to have the most amazing years of your life together and prove that true love exists. Congratulations on your wedding! It’s a sad fact that the number of divorces is increasing every year and that’s why I want you to do one thing: break this damn statistics! Wish you and your bride to live a long and happy life together against all odds. What a beautiful day! A good one to start a new phase in life – a married man life. Wish you two to keep enthusiasm and love for each other for a lifetime. 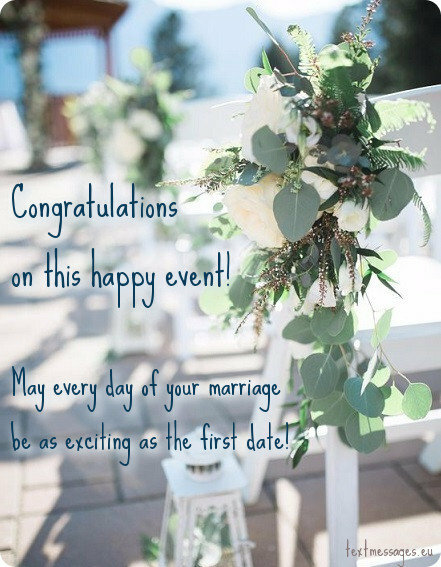 May each day of your life together be as the first day of your marriage! It seems obvious that you and your amazing bride/groom were made for each other. And now you’re going to confirm this union and we all are happy to witness this ceremony. May the life of the newly married couple be full of care, attention and love of course! We’ve been friends since childhood and who would have thought that we all would be married one day. But it happened and today is your marriage! Wish you two trust and understanding, patience and love. Congratulations! Today is one of the most important and unforgettable days in your life. There’s only one thing I want to wish you this day: may all your friends and family get together once again on your golden jubilee! And I hope this couple has a wonderful marriage! Never let each other go, because you will be sorry, love like this doesn’t just happen in one day, you have to work for it, just like you two did! Congratulations on your wedding! 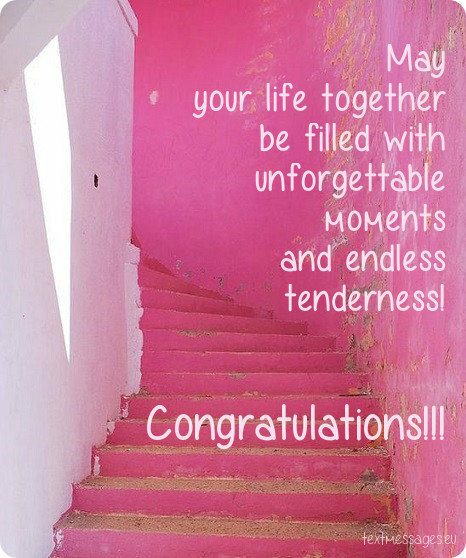 May your married life be a magnificent journey of love! Relationships between people are like weather: they can be bad or good, cold or warm. But there’s one difference between them: people can’t influence weather, but they can influence their relationships. When something is wrong just try to find the right words and you’ll see how they can change everything.Congratulations on your marriage! and you were truly meant for each other! 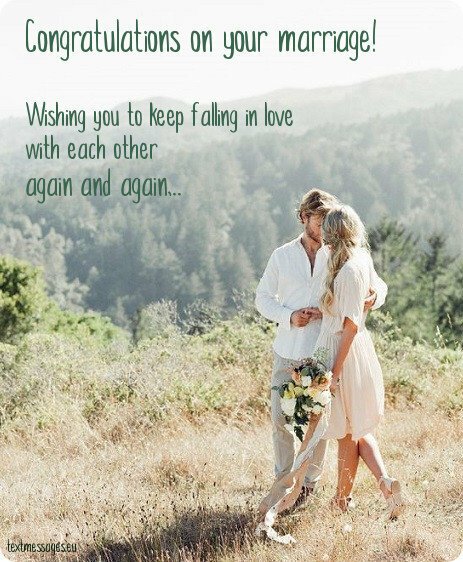 You have built a love, and I hope it never falls apart, good luck on your marriage, I hope it’s full of laughter, happiness and joy! You two were destined to be together since the first day you saw each other, I wish you lots of luck on your marriage! The most warm and hearty wishes on your special day! It is a great happiness to find a special person to spend the rest of your life with. Let your love grow even bigger with every passing year! Can’t believe you’re getting married and can’t wait to see your marvellous children! By the way, I’m sure they will be great, just like you and your beloved. It’s a pure happiness to share this wonderful day with the best friend. Happy wedding! You two are a truly adorable couple. May the God bless your marriage! Wishing you tones of laughter and joy! Everyone that knows you will agree that you two were meant for each other. 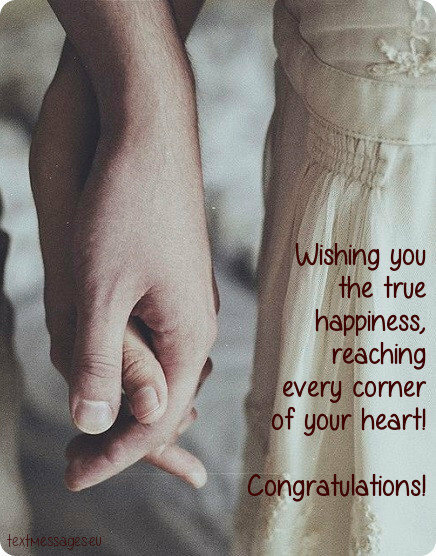 Wishing you the happiest life together! I guess everyone will agree with me, that you two look awesome together! Wishing you the most romantic and beautiful married life. 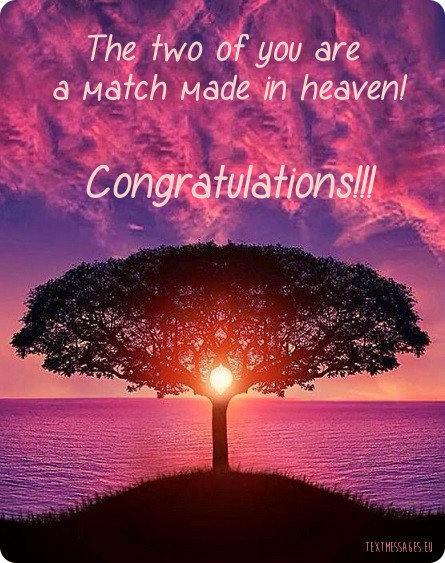 Congratulations to the beautiful couple whose match was truly made in heaven. 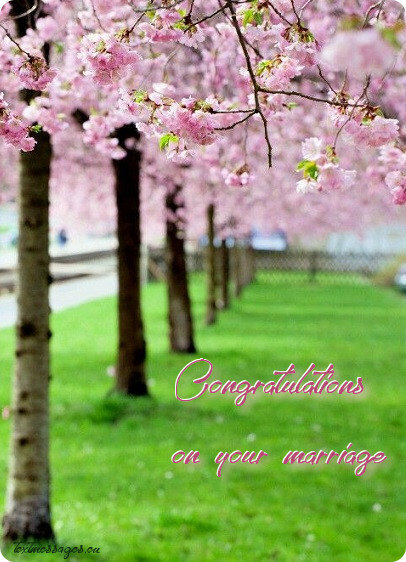 May your marriage life be long and successful, bringing you joy and happiness. 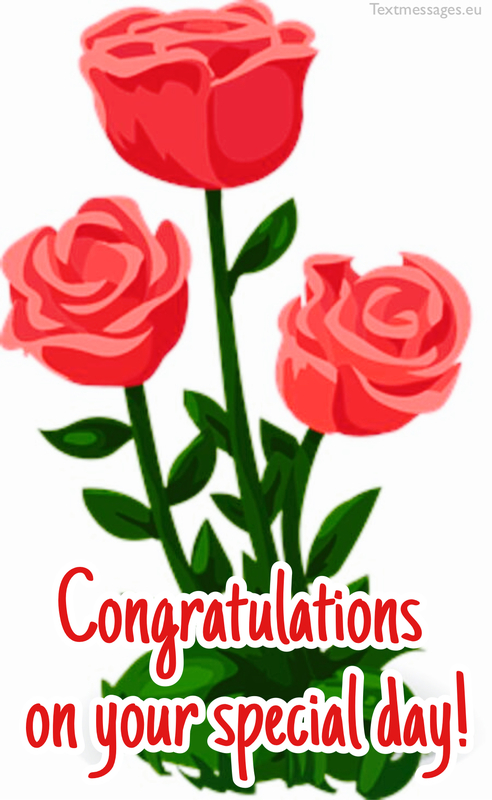 The most warm congratulations on this special day! And bring you thousands of wonderful fruits! May your love deepen and your joy grow with every single day. Many warm wishes on your wedding, have a blissful life! Making all those dreams and wishes come true. You look fantastic together, have the most wonderful married life! 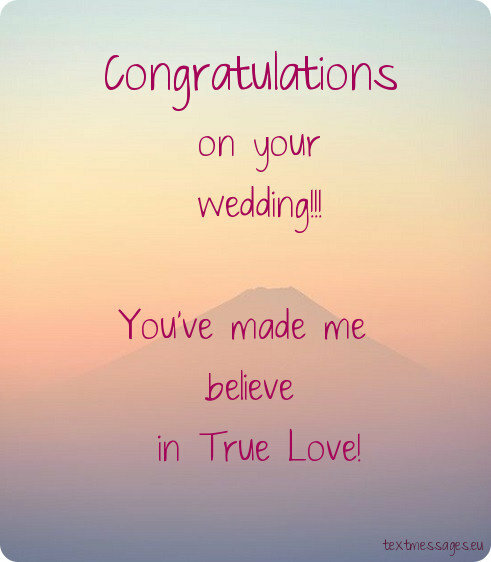 Congratulations on your big day, dear friends! Wishing your marriage life be fulfilled with moments of happiness and delight. 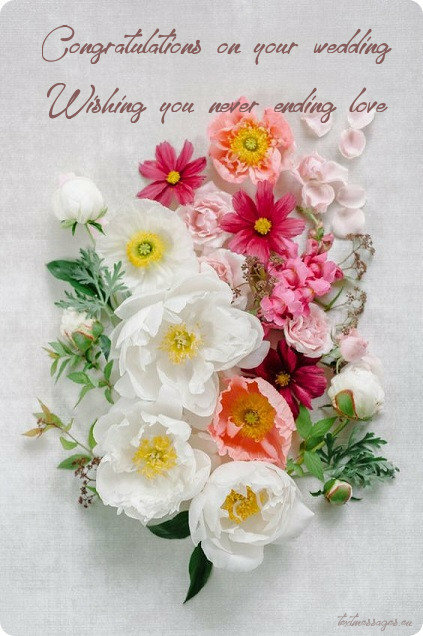 May your love grows stronger and bloom even brighter with every passing year. May you enjoy every second of it! 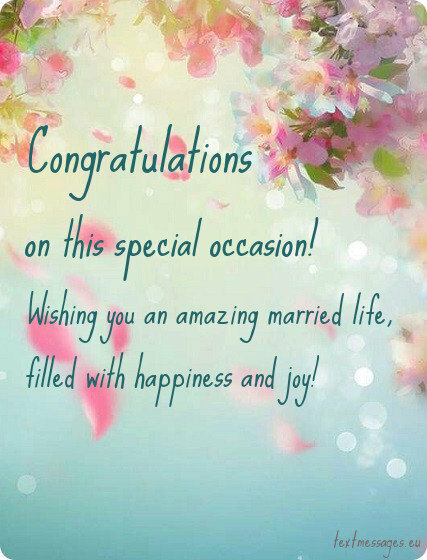 Congratulations on your wedding, this special occasion marks the beginning of your life together. Let this journey be memorable, let it be filled with harmony and romance, passion and laughter! 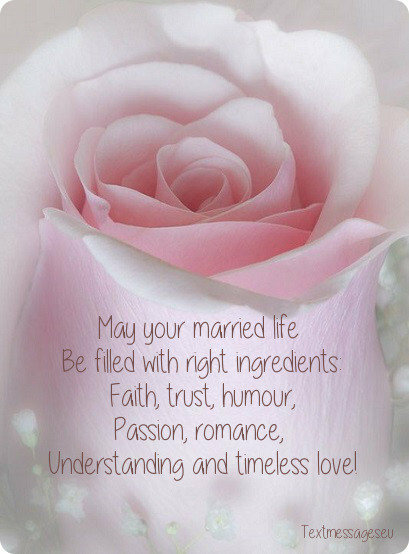 May your marriage fulfil all the greatest desires of your hearts! Have a beautiful married life, joy and happiness are waiting for you two! Wow, you two look amazing together! 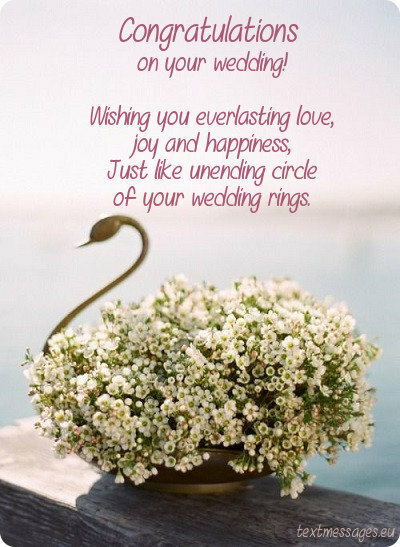 Wishing you all the joy and happiness in the world, have a fantastic life together! May it last forever and grow stronger with every passing year! 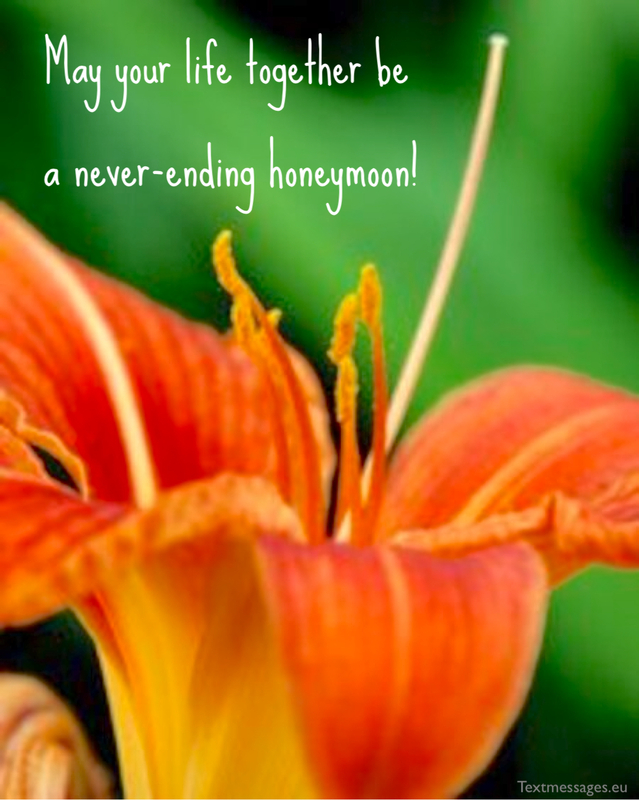 May your marriage be blessed with understanding, joy, companionship and unending love! 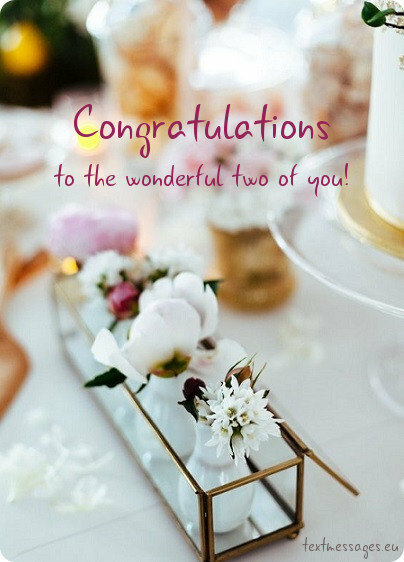 We are incredibly happy for you two! Wishing you life, filled with togetherness, unfading love and friendship!